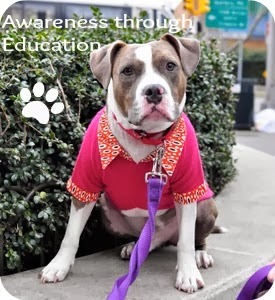 With October being Pit Bull Awareness Month, it is timely to discuss this popular and yet very controversial canine breed, why certain traits were cultivated early on and how their public view is today. “Pit Bull.” There is no other breed of dog—or arguably, any other animal at all—whose mere mention can elicit such strong opinions. Try a word-associate game with your friends: Ask them what they think of when you say “Pit Bull.” Chances are that by the numbers, their responses will be more negative than positive. And it’s no wonder: No other type of dog is as widely banned from housing, legislated against, or incorrectly vilified by the media. This link illustrates while dog incidents are always tragic, had this been another breed such as a golden retriever or border collie, there would have not been nearly the same media buzz. Ten years ago, the Doberman was billed as one of the most dangerous breeds across our headlines. They are strong, fierce and have been bred over the years to provide protection and even surveillance. Their sharp intelligence may also have contributed to the public's uneasy perception of Dobermans. Many unsuspecting breeds of dog actually have a higher incident rate of bites than Dobes and surprisingly, those breeds are from the small and toy categories. What should you learn from this? Any dog has the propensity to react in an unfriendly way if it has not be socialized using positive and appropriate methods. Do you have a pit bull? A large dog? A dog with teeth?? Simply put, a dog with teeth, can bite. Dogs that have responsible owners and have learned how to behave with humans and other animals are less likely to behave in a negative manner throughout their life. Well-socialized puppies usually develop into safer, more relaxed and enjoyable pet dogs. This is because they’re more comfortable in a wider variety of situations than poorly socialized dogs, so they’re less likely to behave fearfully or aggressively when faced with something new. Poorly socialized dogs are much more likely to react with fear or aggression to unfamiliar people, dogs and experiences. Dogs who are relaxed about honking horns, cats, cyclists, veterinary examinations, crowds and long stairwells are easier and safer to live with than dogs who find these situations threatening. Well-socialized dogs also live much more relaxed, peaceful and happy lives than dogs who are constantly stressed out by their environment. As always, please contact me with any questions you may have!